If your staircase is looking, feeling and even sounding a bit tired, then you might think it’s time for a new one. This can be a bit of a big job so why not consider StairKlad instead? It can provide the perfect alternative with much less disruption and at a significantly lower cost. Check out some of the features and benefits here! The StairKlad system is an innovative way of giving a new lease of life to old stairs. 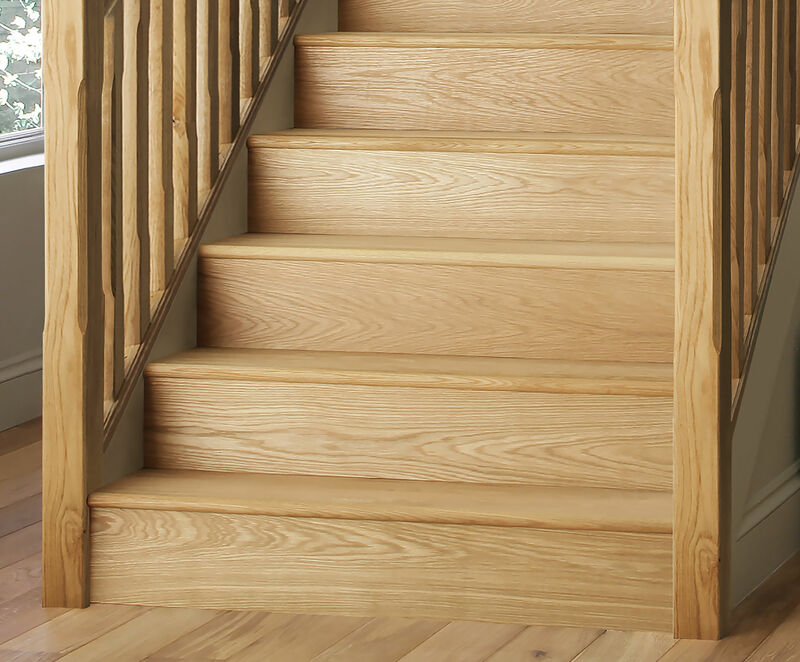 Fully-finished stair flooring in the form of oak-veneered panels is easily installed and gives an instant, lasting effect that is at once strong and subtle. The range is manufactured by highly-renowned company Cheshire Mouldings and is guaranteed to totally transform any staircase. The staircase is an often-neglected part of the home and, as we use it so regularly, we often don't notice when it is in need of some TLC. So take a look at YOUR staircase today and, if it could do with a face-life, then consider the StairKlad system. To see exactly how it works and just how easy installation is, check out the video on the product page. And, if you need expert advice, give our team a call today.